“Thanks…A lot of work, but the most interesting/ informative & useful CPD I have done. Well worth the effort. "I absolutely loved the course, excellent facilitation. 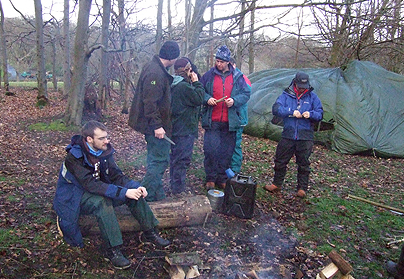 I really enjoyed the practical element in Devon and meeting like minded people. The delivery was exceptional, I felt in very safe hands, the delivery of tools / health and safety was fantastic. I would highly recommend this course. One of the most useful bits for me was really getting to understand child–led learning and putting it into practice. It was a joy to run the six sessions with our group of children and have the opportunity to observe and evaluate in depth."